gradually lengthen them and reduce the stress felt in the lower back. For more information on how we can further assist your corporate Physiotherapy needs, please call our clinic number on 02 8006 9111 or send us an email on info@dev.corporatephysios.com.au for further details. Our Physiotherapists are Medicare, NDIS, DVA and Work Cover approved, specialising in injury management and rehabilitation to get you back to full function. Physiotherapy is generally regarded as a safe and effective back pain treatment. If you’re looking for long term solutions about why you suffer back pain or for relief from pain, we may be able to help. If you suffer back pain and are looking for Physiotherapy in Parramatta, Sydney, Physiotherapy Professionals Parramatta may be able to help. 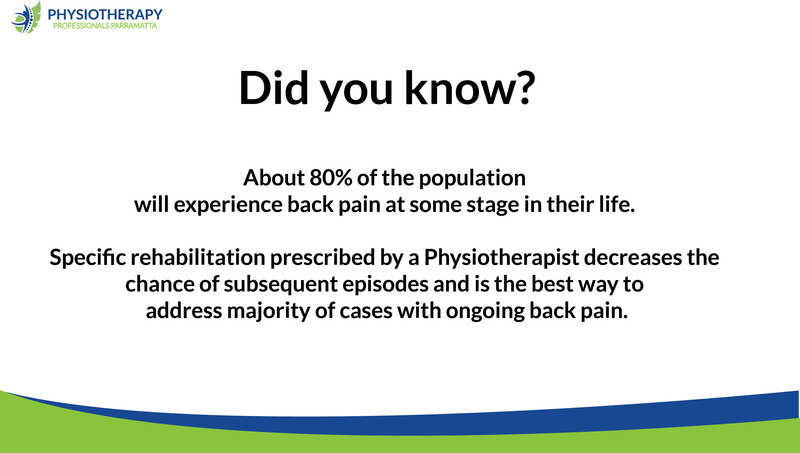 The statistics as they relate to back pain are very alarming. 80% of the community will suffer from back pain at some point in their life. The majority of these sufferers are men, however a significant number of women also suffer from back pain. Any issue with any of these complex areas may cause lower back pain or pain that radiates to other parts of your body (referred pain). 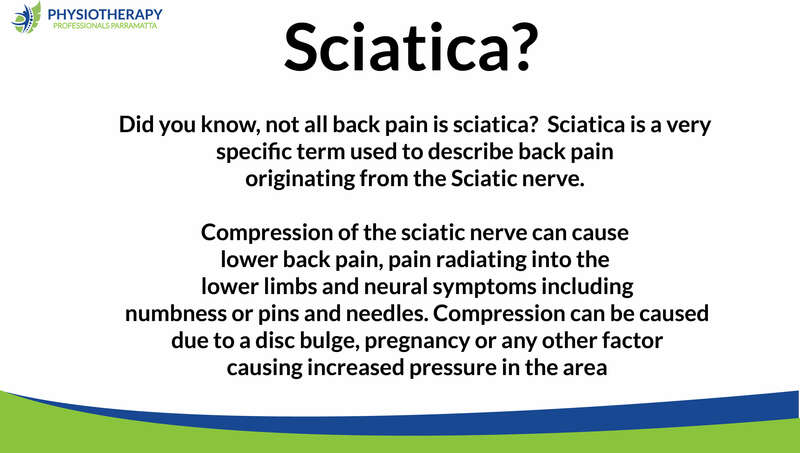 Damage to the muscle and ligaments of the back, also referred to as a pulled or strained muscle, can occur when the back muscles are over stretched or torn. Poor posture and incorrect lifting technique can also contribute to back pain. An initial Physiotherapy assessment at the clinic may identify underlying structural issues that warrant further investigation. 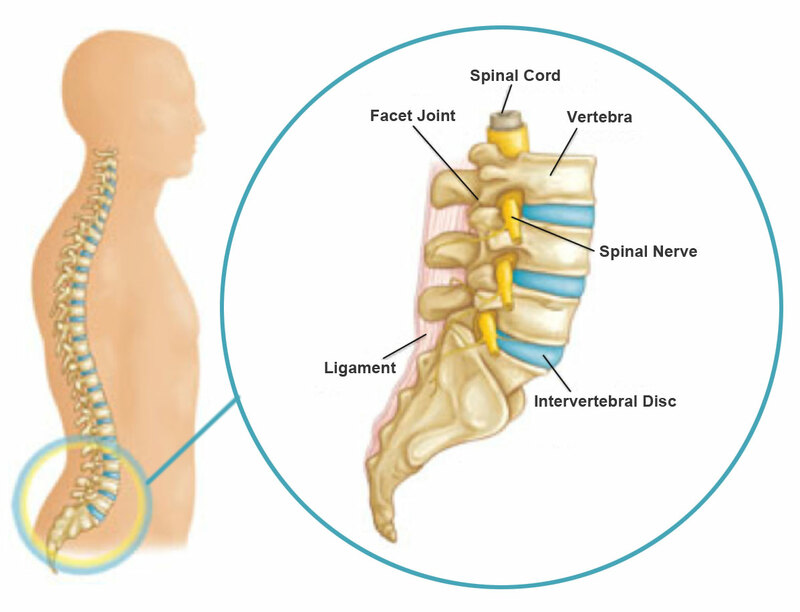 If your posture looks incorrect from the outside, your spine may be affected from the inside. Are Physiotherapists back pain specialists? Many health professionals including Doctors, Surgeons, and Physiotherapists may help in certain cases of back pain. Many studies have concluded that manual therapy or Physiotherapy is effective for the treatment of lower back pain. 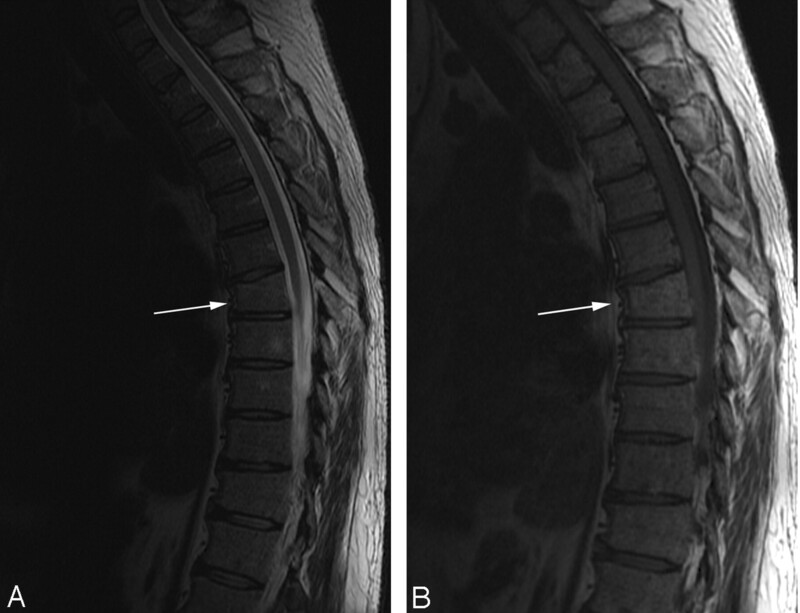 There is firm literature support for Physiotherapy treatment of lower back pain. Many published guidelines recommend Physiotherapy as a form of therapy for patients. Physiotherapy works to increase joint range of motion, reduce nerve interference, increase flexibility and movement along the spine. Physiotherapy Professionals Parramatta promise to work with you to address the cause of your back pain and provide recommendations for care. Our experienced team will perform a comprehensive Physiotherapy assessment, including postural and biomechanical assessments, to diagnose your problem. Our team specialises in the management and treatment of musculoskeletal and postural issues.